Keep the order number sent in an email after your purchase. That order number is what you’ll need to redeem your certificate. 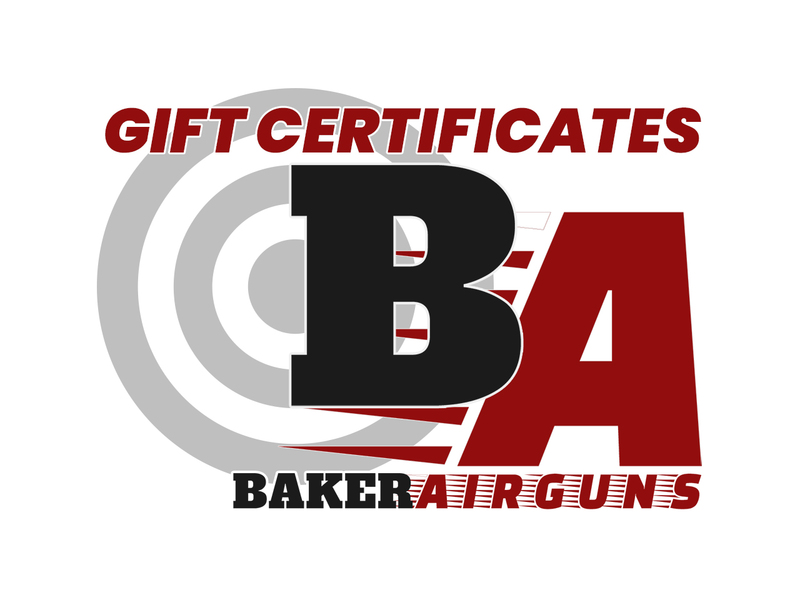 Give the gift of airguns with a Baker Airguns Gift Certificate ranging from $10 to $500. To redeem your certificate you’ll need your original order number which will be emailed to you when you place the order. We’ll also send a paper certificate in the mail, but your certificate can be redeemed right away with your order number. Currently these can only be redeemed by phone (call to place an order) or in our physical store.